9 articles published this year, compared to 10 last year. My volume has dried up since I began a new career path that has taken up the majority of my time. I’ve begun to think up ways to create fresh, engaging articles at least once a month. 2018 remained a great reading year, with 40 books read. Again, I spent a good amount of time preparing for a career-related exam during 2018, as I did in 2017. All in all, this is a neutral stat, and for 2019 I hope to increase my reading AND writing output. I somewhat slacked on my knowledge recordkeeping process, with more than a fair share of books that need a second review to which has held immensely with my reading method. But the process remains. No longer am I reading just to read, but to absorb the knowledge and put it to future use. There are 3 main questions that I will answer in this Integrity Report. How can I improve in the next year? It’s helpful to write what you stand for and ask yourself if you are doing everything in your power to fulfill your values. Everyone will be different. What I stand for (and believe in) will differ greatly from what defines you. However, one thing is certain: consistency is what separates the achiever from the dreamer. Make sure you aren’t wasting time. Have a plan and stick to it, no matter what! Here are my core values and some questions that I use to think more deeply about each area. As I grow older, these values may also grow and expand. Am I putting myself in the best position to succeed, both short-term and long-term? Am I building habits that foster continual improvement? Do I stay immune to popular opinion? Do I guide my own actions, and not rely on the actions of others? Can my friends and family rely on me? Am I ready to lead when called upon? Am I a man of action or am I all talk? Do I mean what I say, or do I speak only to appease others? Am I contributing to the world or just taking from it? Do I give for the good of it, or to impress others? Do I strictly give monetary donations, or do I also give my time to those in need? Am I constantly trying to learn new things? Am I learning for the sake of learning, or do I apply this knowledge? Am I seeking practical knowledge or indulging in time-wasting activities? Am I giving maximum effort during my workouts? Is my diet the best it could be? Are my fitness goals clearly defined? Am I mentally weak when other people make poor health decisions? Am I making excuses or using adversity and setbacks to learn? Do I get angry when things don’t go my way, or do I see an opportunity to improve? Am I easily thrown off course by distractions and setbacks? Am I ready for the unexpected? 2. How am I living and working with integrity today? Writing about ideas of practical significance. I try to write on topics that are useful to you, the reader. Whether we know it or not, we all crave the tools we need to leave this world a little better off then we found it. Along the way, we hope to enjoy the ride and find fulfillment in our day-to-day lives. I want you to read my articles and insight and be able to instantly apply what you learn to your own life. I created this blog for fun five years ago, and now I reach tens of thousands of people. If a handful of people can get insight and knowledge from my words, I consider my efforts a resounding success. Creating original work. I pride myself on unique, evergreen content. Some of my most popular content stretches back years. Every time I sit down to create something for you, I ask myself: Will this be relevant in 5 years? I never research what others in my space are doing. Surely, I frequent a handful of key influences for ideas and insight – but never once have I derived an article from anything other than my own thoughts and ideas. When it comes to writing, I am my harshest critic. I only want to publish the best of what I have to offer. This is a struggle sometimes, as I must balance being productive with being a perfectionist. For 2018, I need to worry about this less, and focus on publishing worthy content more often. Staying Humble (Shamelessly). Ryan Holiday warned of the dangers of ego,and I try to always make sure I am not bragging or boasting through my content. Far from trying to belittle the man who “doesn’t have it figured out,”, I wish to help raise people up to their life potential and help them fortify strengths and attack find strengths to be fortified and weaknesses. There is a fine line between confidence and cocky – humility should always win in the long run because too much pride only leads to unbalance and stress-inducing behavior. I like to use the phrase: Be happy with what you have, while working diligently towards what you want. 3. How can I improve in the next year? Now for the hard part. Where am I currently struggling and what can I do to improve over the next 12 months? Be more consistent. This was a goal last year, and I failed miserably. I’ve been on a career kick and have not given the site anywhere close to my best efforts. For 2019 AGAIN, writing more consistently is my #1 focus. From last year: 10 articles published painfully sticks out here. Terrible! My volume of writing decreased towards the end of 2016, and did not recover in 2017. I let other things, mainly distractions, get in the way of my writing process. I made excuses and rationalized away my lack of activity. Beginning in February 2018, I will published at least 2 articles per month.. No more excuses. Define (and limit) social media content. Social media is another area where I have slacked – mainly because I do not have a clearly defined plan. Twitter is my primary mode of communication, and although I have a Facebook and Instagram account, I am much less likely to be active there. I am contemplating closing down those accounts to focus more on writing and engagement. This will directly tie into a personal goal of mine to declutter and prioritize my digital life. Without a plan here, it’s easy to get caught in the weeds, focusing on the unimportant. When we take in too much information (especially garbage information), we are living in a reactive state, and are unlikely to be creating anything worthwhile. Life is the stage for creation first, observation second. Information gathered is useless without action. Expand Shameless Pride. Since day 1, my goal has been to spread knowledge to the uninformed. That goal remains unchanged going into 2019. I am now FIVE YEARS in to this journey, and it’s time to get serious about the next step in the evolution of the site. 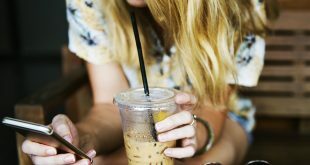 How to be less addicted to technology? And of course, how to find and keep a man or a woman!? My hope is that this annual Integrity Report holds me accountable, allowing myself to reach a higher standard in both writing and outreach. Sitting down to write consistently is a task I find quite difficult, but the end result is pure euphoria when insightful, necessary content gets published. 2018 will be a year of FLOW, writing and creating consistently with no excuses. Thanks for reading in 2018, and I hope you stick around to see what I have in store for the future. I wish you all the best in 2019!